For some time now Proekspert has been following the development of the mixed reality industry. In this post we will talk about the potential applications and business verticals offered by seven different popular mixed reality smart glasses (MRSG). The seven MRSG that we will be looking at are currently being sold, or are available for pre-order, on the market. For the most part the augmented reality industry is still in its early development phase. In terms of the mass consumer market, the technology has yet to really gain any traction. That said, reports show that AR and VR will soon be expanding their presence with incredible industry growth. According to a forecast from Tractica, the global market for smart AR glasses will grow from 150,000 unit shipments in 2016, to 22.8 million units shipped annually by 2022. That means that within the next five years, device revenue will grow from $138.6 million to $19.7 billion. Evidently a range of mixed reality headsets is already available on the market. The challenge, then, is to figure out how this hardware can be best used to mobilize a variety of industries, from education and finance to design and medicine. Our research shows that B2B vendors (like Ubimax) are already utilizing this tech to offer mixed reality applications designed specifically for enterprise. The same goes for B2C companies, of which there are many, and that already offer quite a few applications. Mixed reality is obviously a growing industry that is bound to have a profound effect on many spheres of civic and personal life. How exactly do we envision the impact of mixed reality unfolding? Understanding which industries will be transformed and how. What are the industries that might benefit from MRSG and the various applications and business verticals they offer? The spheres of design and engineering are probably the most intuitive domains where MRSG can have an impact. What’s more, mixed reality technology is already being put to use in 3D modeling and engineering studios. Thyssenkrupp, an industrial engineering company best known for their elevators, has been experimenting with MRSG. According to their results, they were able to build in-home stair-lifts four times faster when using Microsoft’s Hololens. Another construction company, Atheer, has envisioned use cases for smart glasses, such as project leads managing construction sites while wearing a pair of MRSG. Other uses of MRSG like Hololens might include taking apart engine parts and reassembling them as part of the learning process, or projecting a plan onto a physical space to demonstrate architectural or interior designs. A lot of people are hopeful for the potential revolution that AR and VR might cause in the medical field. Companies such as Pristine, Ubimax and Vuzix—AR application, software and hardware experts respectively—are laying the foundation for an increase of the technology in medicine. The use cases for mixed reality in medicine vary. On the one hand there is the opportunity for long distance immersive communication between doctors and patients. On the other hand, there are far more complex applications that this technology can provide. For example, Ubimax has developed xCare, an application which enables doctors and other medical staff to access relevant information about a patient as they work. In other words, as they are conducting their examinations, their glasses offer vital content about the patient’s medical history and more. Atheer has also developed a product called Atheer Air which is basically a platform for managing universal workflow. This sort of application could be effective in a variety of industries. Allowing workers to receive, transmit, and work with visual information in a seamless way and without causing distractions is a valuable asset for any company. Another advantage of a product like Atheer Air is that managers can design the workflow of remote workers, enabling them to work effectively at a distance and without the hassles of delayed communication. Ubimax also offers a similar tool called xAssist, that enables remote assistance from experts who might be corresponding with technicians onsite. Other use cases for remote work are bound to grow as the industry moves forward at an exponential rate. Warehouses are the culprit of a lot of discussion. Generally speaking they are inefficient, difficult to manage and often demanding of workers. With augmented reality, there may be some solutions on the horizon. In fact, SAP AR has already developed a Warehouse Picker application with Vuzix smart glasses. With this mixed reality application, workers can better get through their workflows thanks to crucial product information that will be provided visually, freeing up the user’s hands and thinking ahead about efficiency. 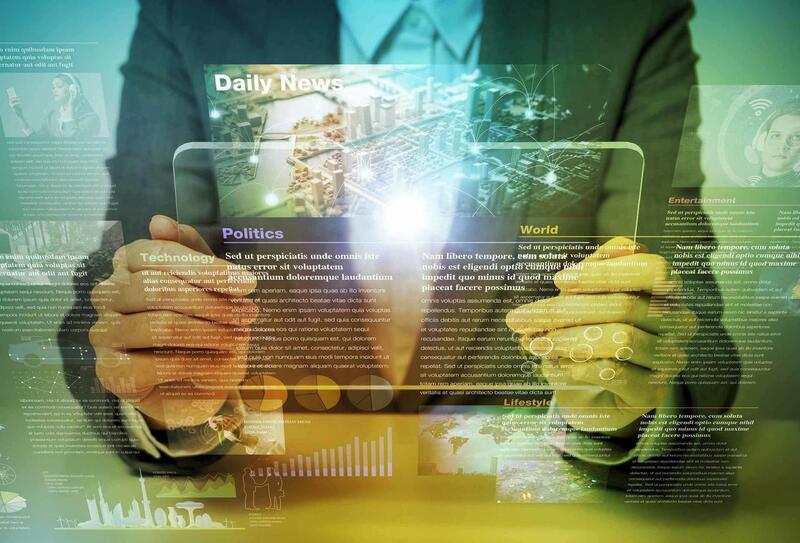 The same technology and applications might be applied to manufacturing workflows—ensuring that workers are always equipped with the most up-to-date knowledge and information. One of the first problems that technology seeks to address is that of efficiency. Everything from your home utilities bill to larger urban grids can be revolutionized by applications that seek to maximize efficiency. Vuzix smart glasses and partners are currently work on projects that are meant to empower field technicians—enabling them to diagnose and resolve mechanical problems with online data and manuals, as well as remote assistance from senior or more experienced colleagues. Any business might benefit from creating a virtual storefront, or augmenting brick-and-mortar businesses with live and immersive digital information. Hololens has developed an application for creating an exhibition booth using mixed reality that is already being embraced by companies. Because of its flexibility and opportunity for customization, mixed reality is the ultimate medium for marketing. Immersion is sought out by marketers in every sphere, and with MRSG they can get just that. Understanding how MRSG will be used at home. Recon Jet and Solos are lightweight smart glasses that work with custom applications developed specially for cyclists and runners. Athletes can benefit from mixed reality by learning about their current speed, pulse, track information and more in real time. In fact, Solos is being developed through a partnership with the US Track Cycling Team. The opportunities are quite boundless when it comes to education. VR has already been heralded as a major medium for technologically-advanced classrooms, but mixed reality could do even more. With MRSG students can interact with real world items while receiving additional visual information through carefully designed augmented experiences. Whether it be first graders or medical students, anyone can benefit from the immersive learning experience. And this technology is already being developed. For example, Holo Heart is an app that emulates the human heart for educational purposes in medical schools. It’s no secret that the gaming community is vastly excited about virtual and augmented reality. Moreover, gaming and entertainment are estimated to take up almost the entire consumer content market for VR. 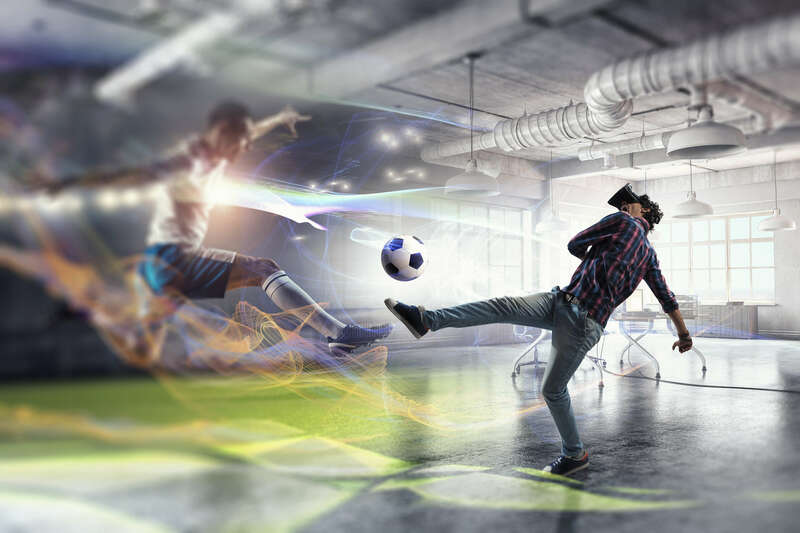 Mixed reality will undoubtedly follow in the footsteps of VR, featuring first-person games, experiences and interactive entertainment. Several games have already been built on Hololens and other MRSG. Vuzix has developed applications for Netflix, and Cast AR is said to be developing games of its own. It’s only a matter of time before the mixed reality game revolution begins. The way we communicate is continually being transformed—mixed reality will only continue that process. Hololens and Vuzix have already incorporated applications like Skype and Instagram into their platforms. What’s more, Hololens is looking into new communication methods such as holoportation. It may sound like science fiction, but Microsoft’s demos show a user’s image being digitally rendered in real-time, in a place that’s far from the user’s location. Rest assured, sci-fi type communication systems are just the beginning. AR is expected to be one of the greatest game changers in the tourism industry. Totally replacing tour guides and offering visitors more freedom and opportunity for interaction, this technology could be the perfect travel companion. The technology has yet to really be developed. But interesting prototypes might be found. For example, Holo Tour is an application where you can explore the beauty of Rome or the secrets of Machu Picchu as you move naturally through the spaces. Evidently there is no lack in potential uses for mixed reality and smart glasses technology. From education to construction and beyond, MRSG applications might be the dominant tools of the future. Knowing that are most likely going to see tremendous market growth by 2022, now is the time to start thinking about how this technology might be applied to the industries that shape our world. Ultimately, the problems that MRSG are solving best are those which are related heavily to visualization. Designing 3D solutions, engineering, and remote assistance on an enterprise level, offer the most applications and use cases for MRSG. Industries such as manufacturing and telemedicine, however, have yet to really embrace the possibilities of mixed reality. At the end of the day the possibilities are quite extraordinary—it’s up to us to pursue them and bring MRSG out into the world.